Billy Idol has featured a number of times on AllBum.Art as, for some reason, his songs and covers are perfectly designed for a good old remix. 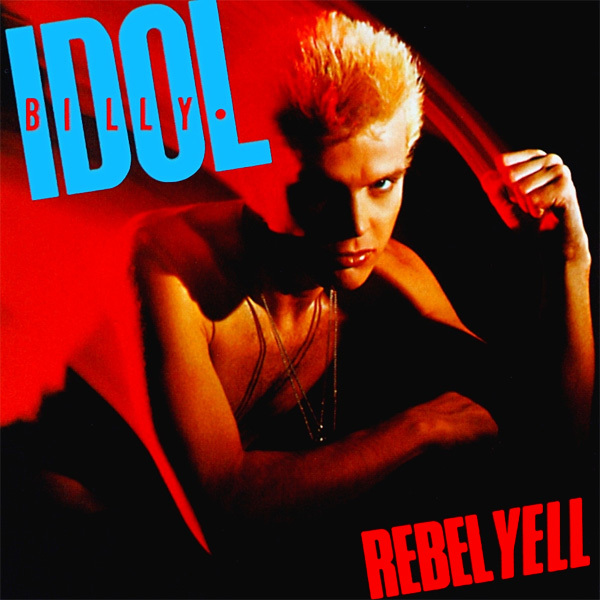 Mr Idol's 1983 album Rebel Yell needs a bit more of a revolutionary feel to it. Short of adding a picture of Fidel Castro, the alternative that has been arrived at seems to do the job very nicely. Definitely a rebel what with being bare chested and carrying an automatic weapon. That's a sure fire way to overcome the establishment!